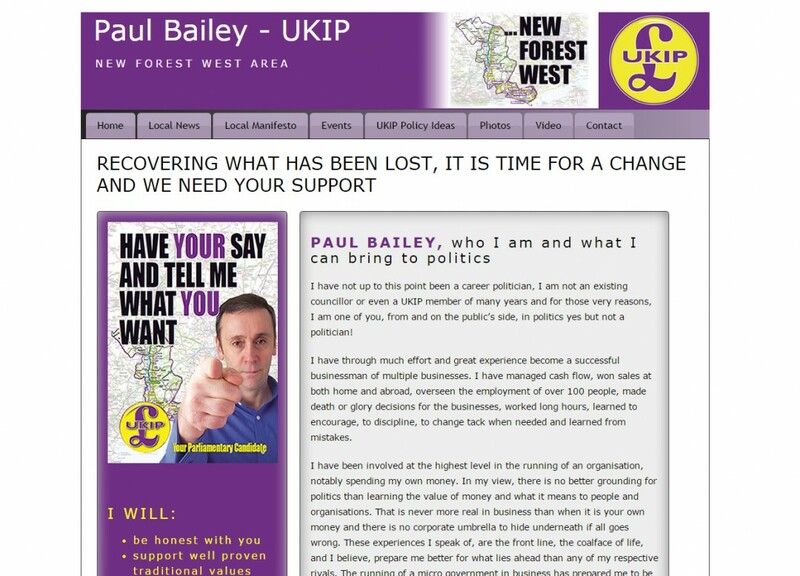 Paul Bailey is a UKIP candidate standing for election in the New Forest West constituency. To build a website for Paul, which summarises what he and UKIP stand for. This was needed for the run up to the General Election, in May 2015. M35 Web Design provides Paul with website updates, web hosting and domain name management.